Hello, Reno fans. How about a trip report? For those of you who read my trip report from last September this will be a similar adventure. But thanks to Photobucket you can’t see the photos from any of my prior reviews (hours worth of work down the tubes). I now have a new, free photo hosting site (Postimage.org – thanks for the recommendation, BC Dave). So take that, Photobucket! 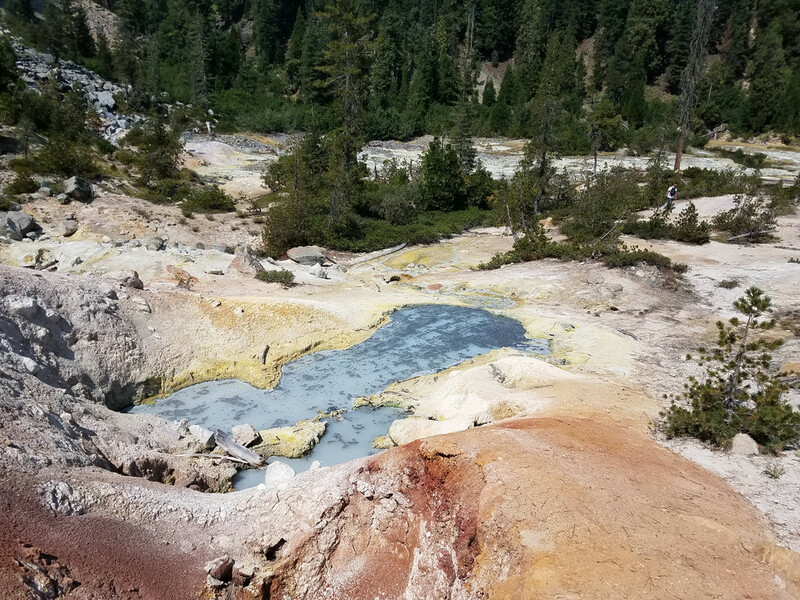 We loved our time at Lassen Volcanic National Park last year so much that we decided to go back this year, again combining it with a trip to Reno. 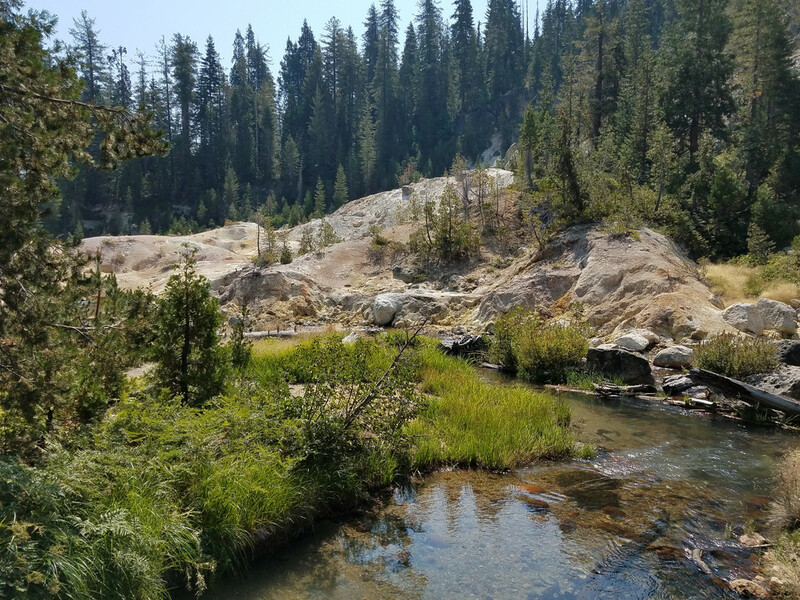 We explored some other areas of the park and went on completely different hikes from last year’s trip. Our adventure started on Saturday, September 2. We flew from Seattle to Reno on an early morning flight. We rented a car at the Reno airport and drove about 2 hours to Chester, CA where we stayed 2 nights. 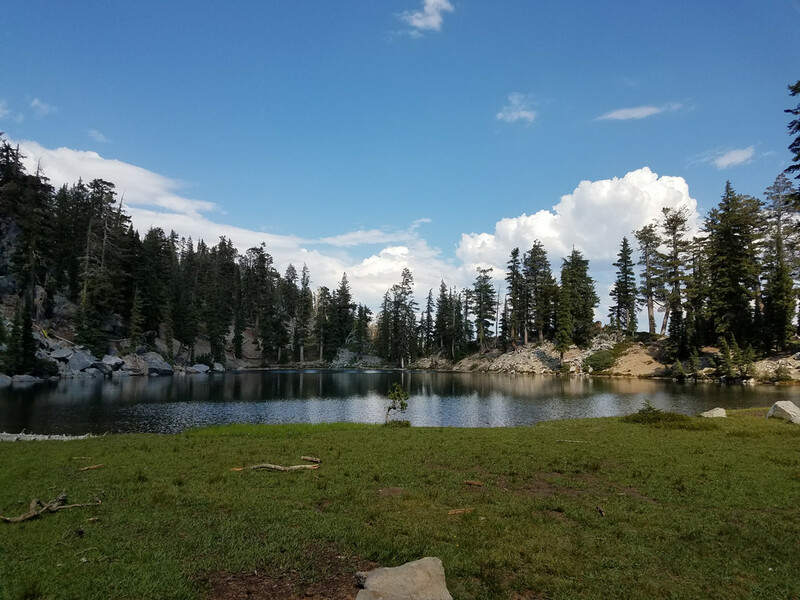 We explored the Juniper Lake and Warner Valley areas in the SE part of the park over these 2 days. 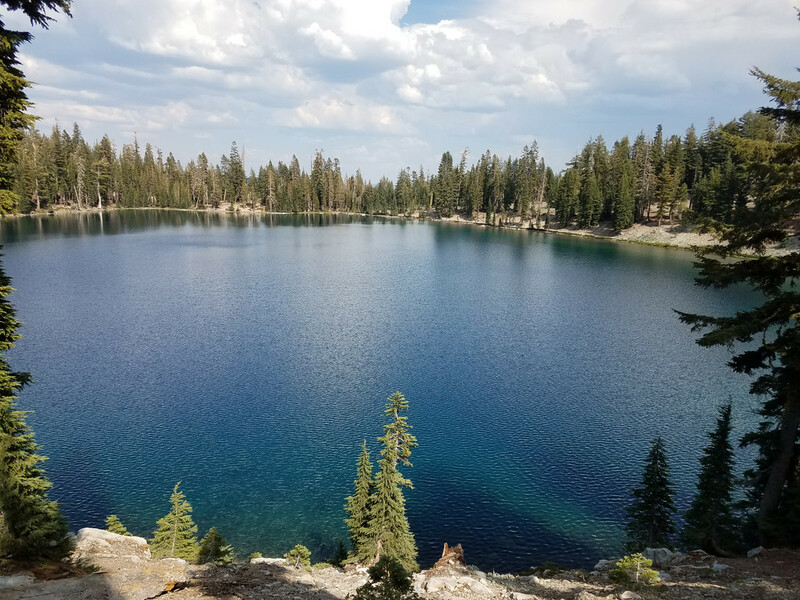 Crystal Lake, our favorite hike of the trip. 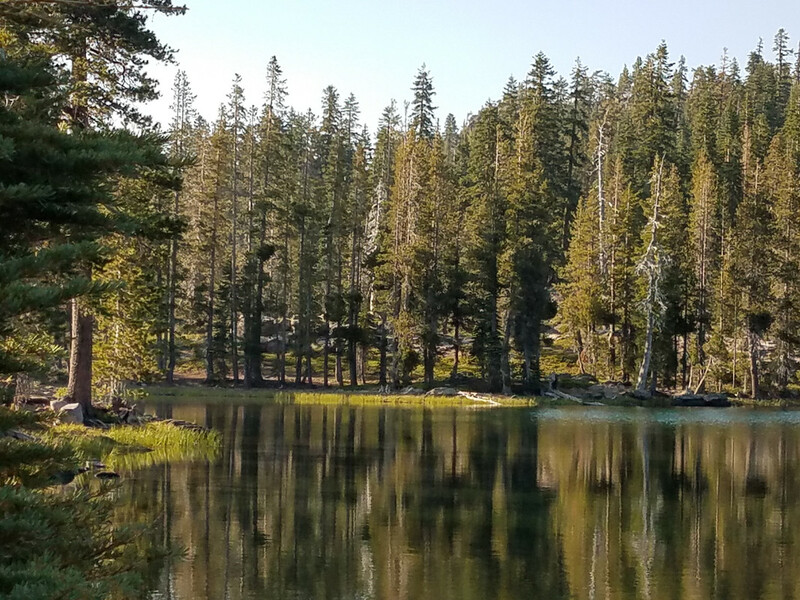 And we were the only 2 people at this lake. An extra bonus! 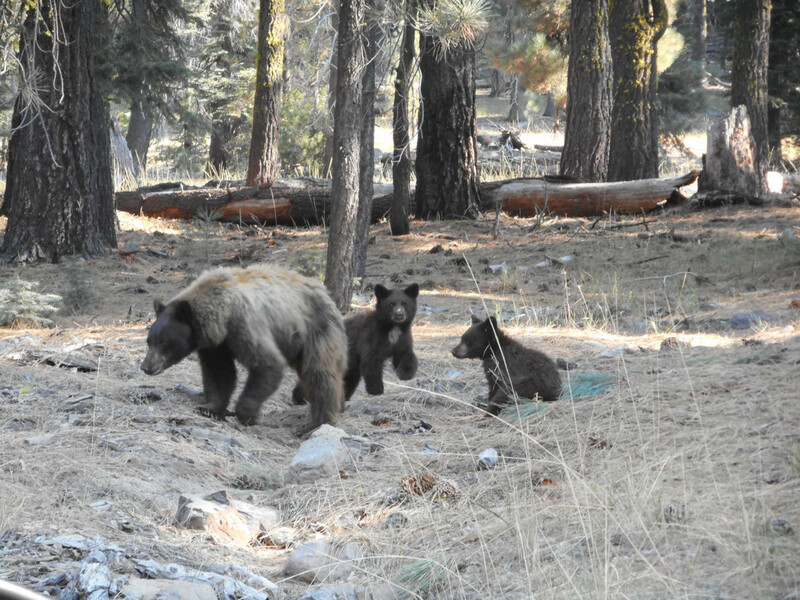 We were also treated to this “jackpot” of wildlife viewing, mama bear and her 2 cubs not more than 30 feet from the road in the Warner Valley. I'm glad we viewed these bears from the car and not a hiking trail. If I was 30 feet away from bears on a hiking trail, I might not be here right now to even post this review! 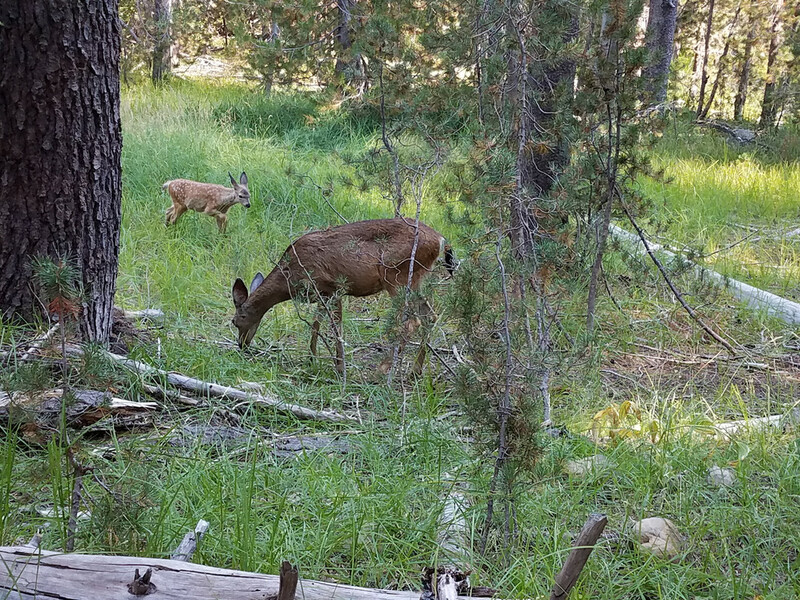 Also saw this mama deer and her fawn on our hike to Devils Kitchen. 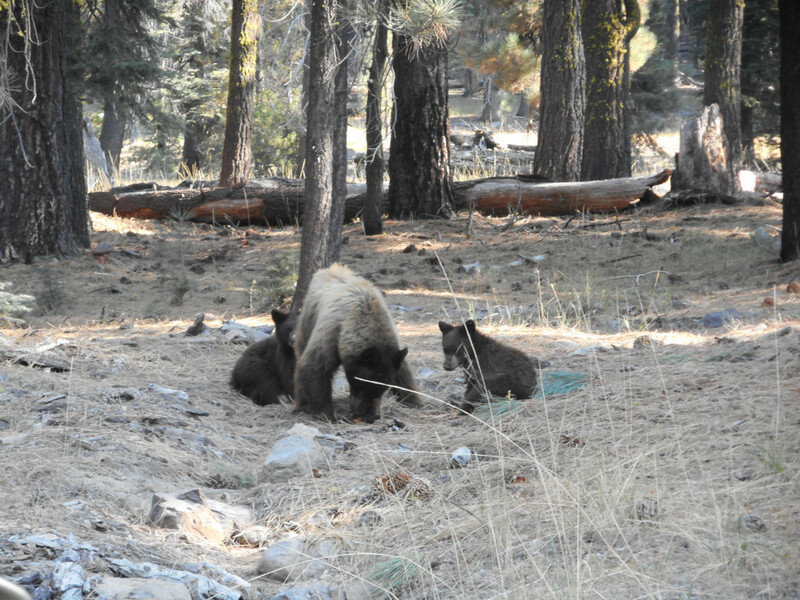 After staying 2 nights in Chester we went to Viola, CA and stayed 3 nights near the NW entrance to the park. 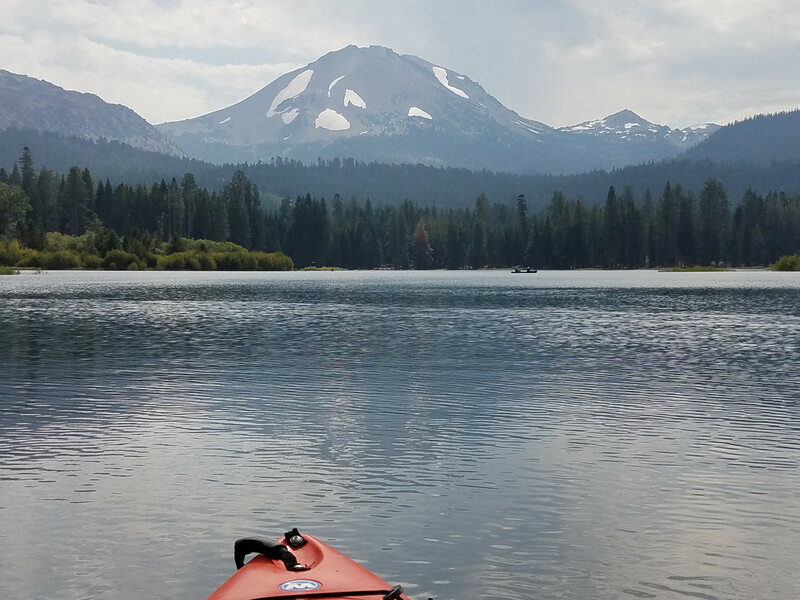 We enjoyed more hikes and kayaking. 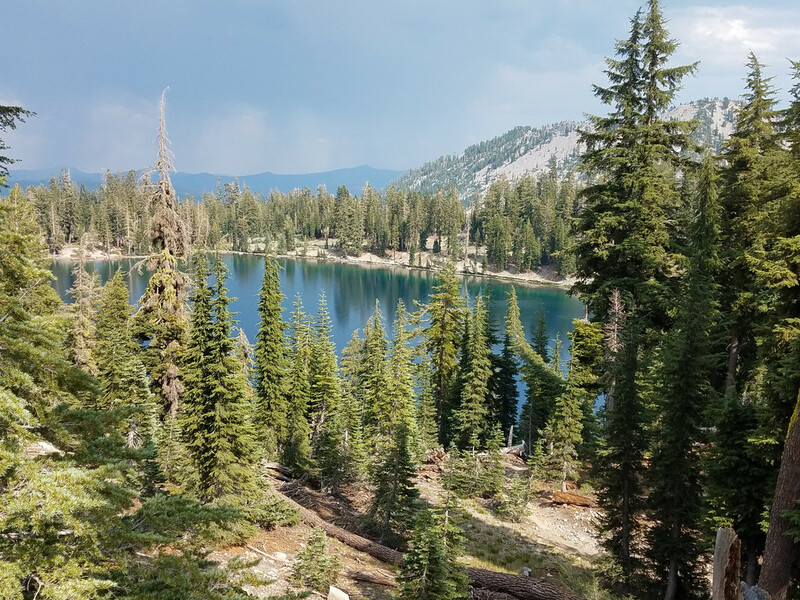 After 5 days glorious days enjoying the beautiful, quiet and remote Lassen, it was time for 2 nights in Reno! Yay! So back in the rental car we go for the drive back to Reno on Thursday. We stayed at Silver Legacy with both nights comped. 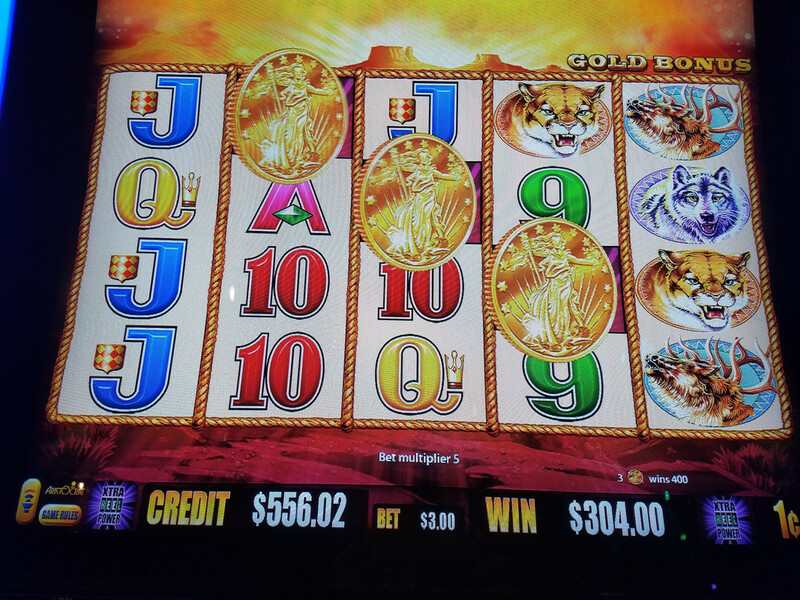 I had $30 reward dollars and $30 in free play from my monthly mailer offer. 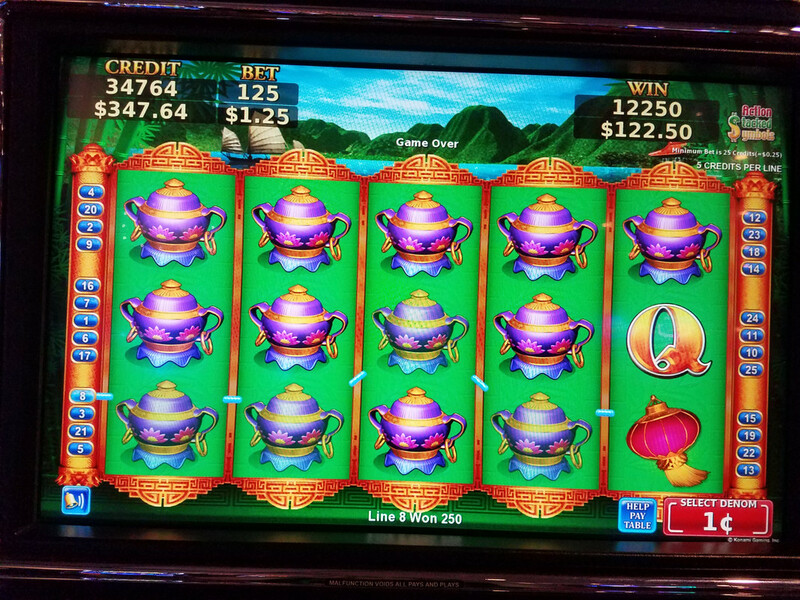 I also earned quite a bit more free play during this trip to end up with over $100 in free play total. 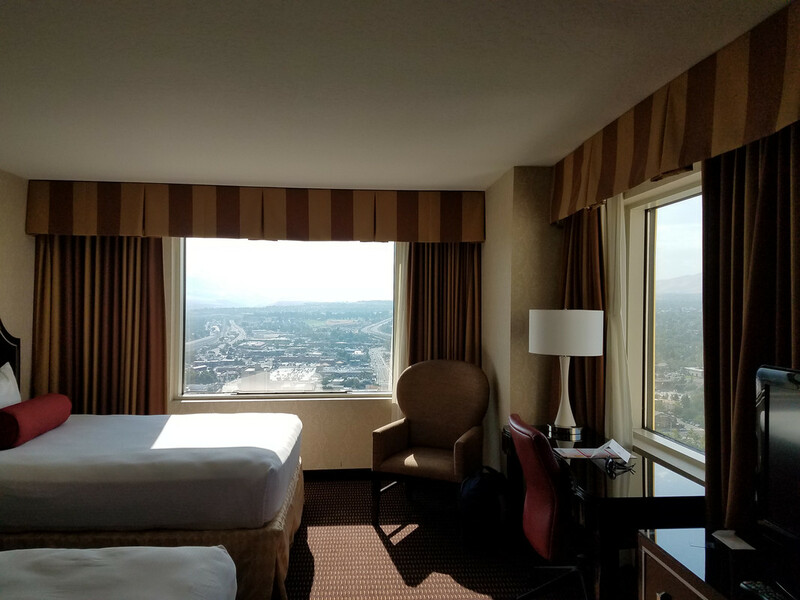 We had a Panoramic room! I love these rooms as they are the end of the hallway and have two windows. And being at the end of the hall these rooms are very quiet, not near the elevators, and no foot traffic going past your door. 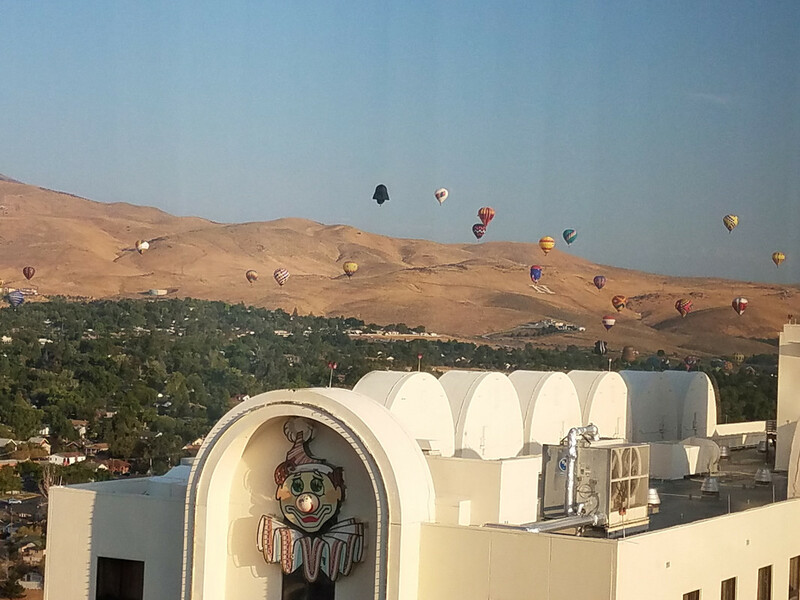 Since this room was both north facing and west facing we had an awesome view of the balloons from our room! 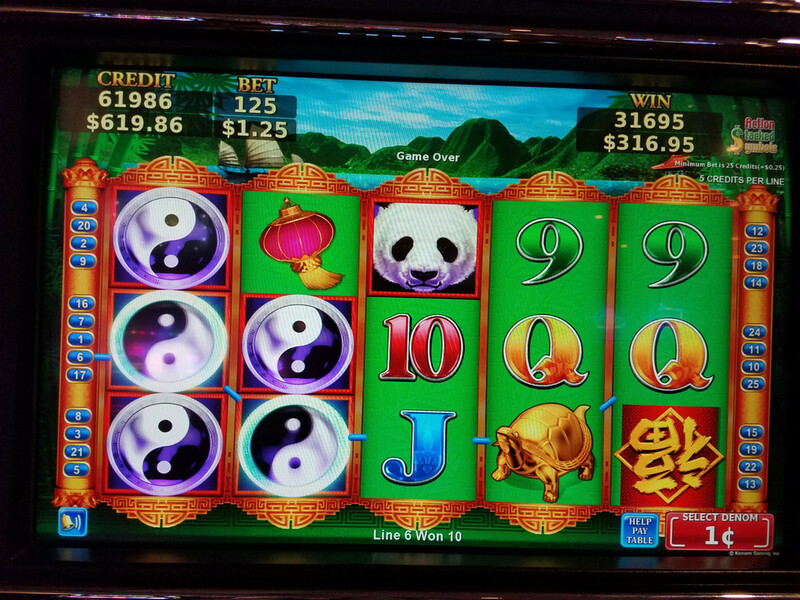 The slot machines were treating me very well on Thursday night so here are photos from my wins. Things went quickly downhill as far as gambling is concerned on Friday. So let’s take a break from gambling and attend a concert instead. 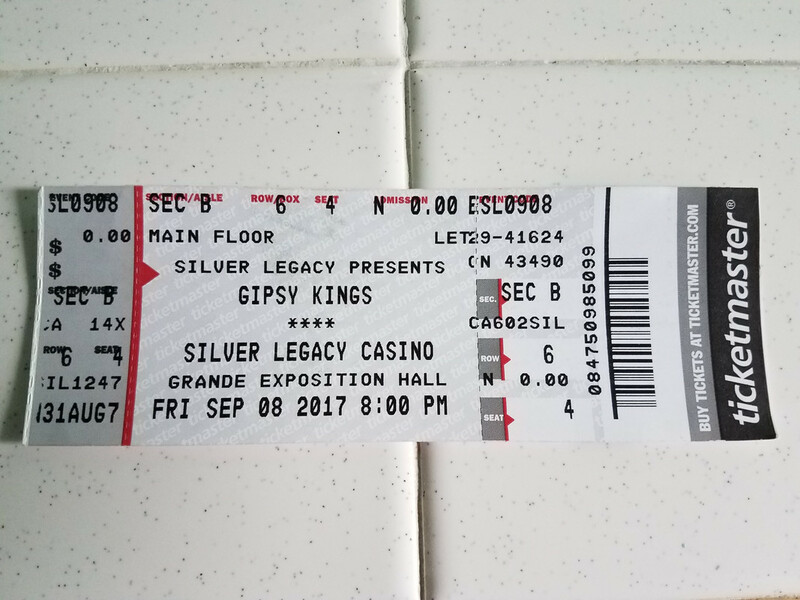 Friday night we had comped tickets to see the Gipsy Kings. A fabulous show! 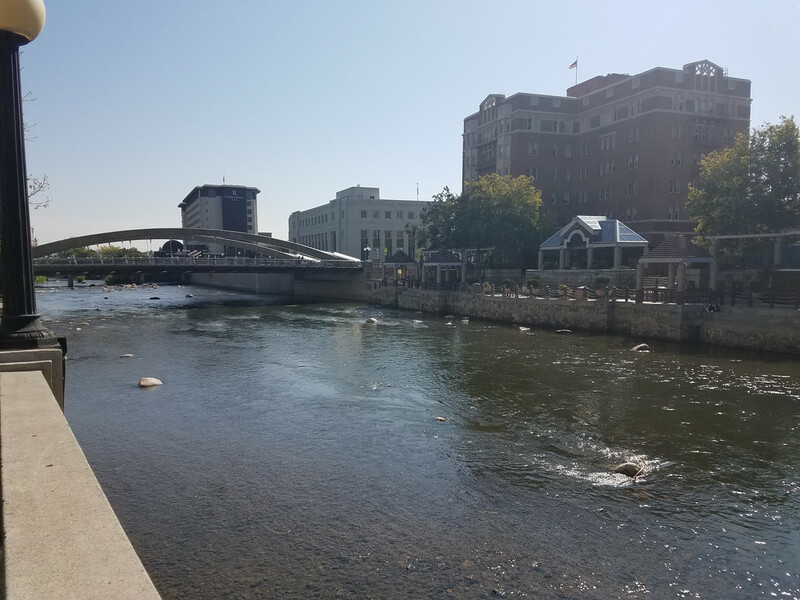 We took a lovely stroll along the river on Saturday morning. 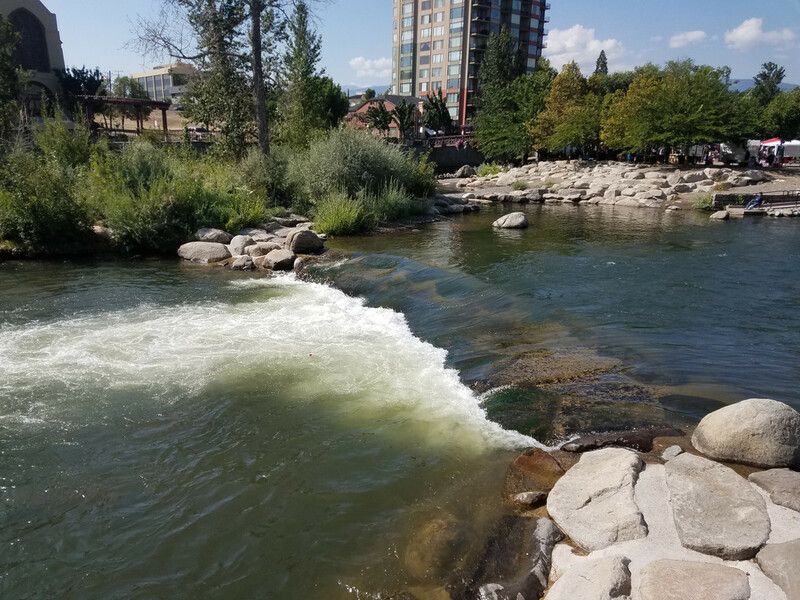 It was not a Truckee trickle this year and we commented this was the highest we had ever seen the water level from any of our previous visits. 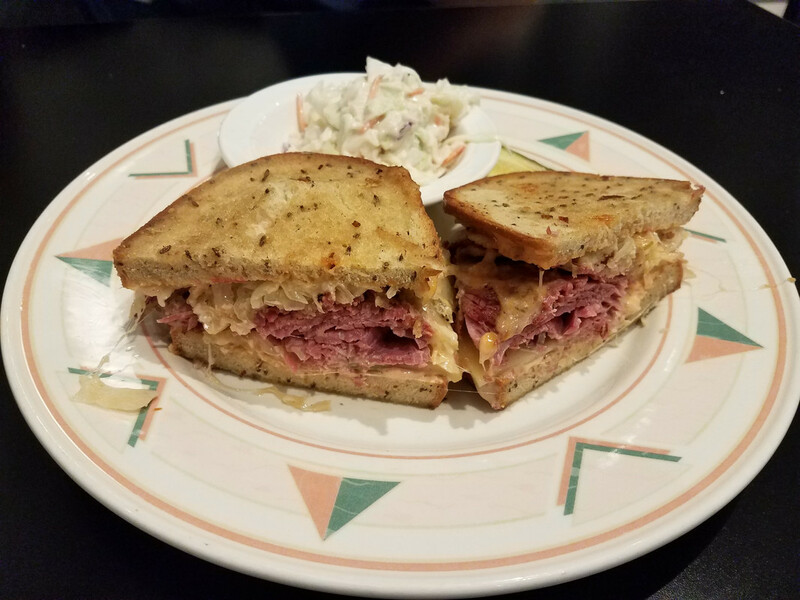 Canter’s Delicatessen is now open on the SL casino floor. 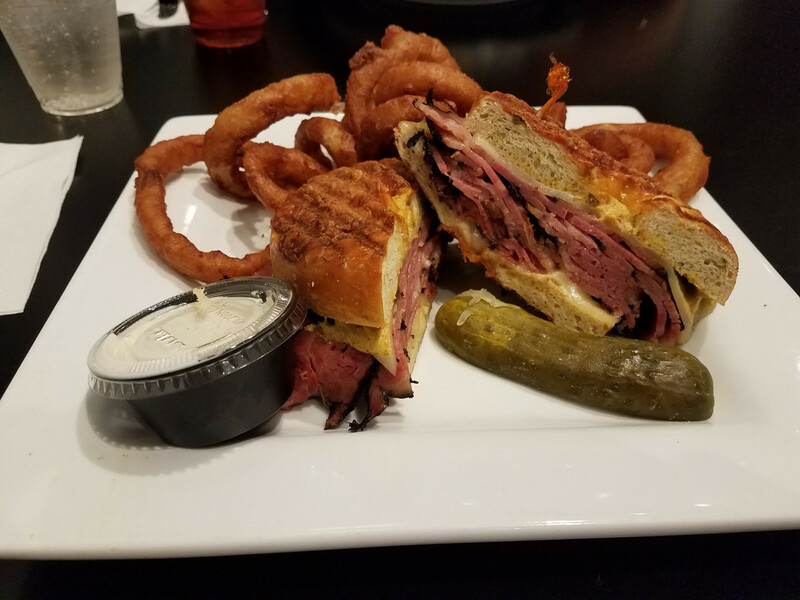 The original Canter’s was born in Los Angeles 85 years ago and supposedly has been voted the best pastrami by the LA Times and the LA Weekly. We can’t argue as the food was fantastic! 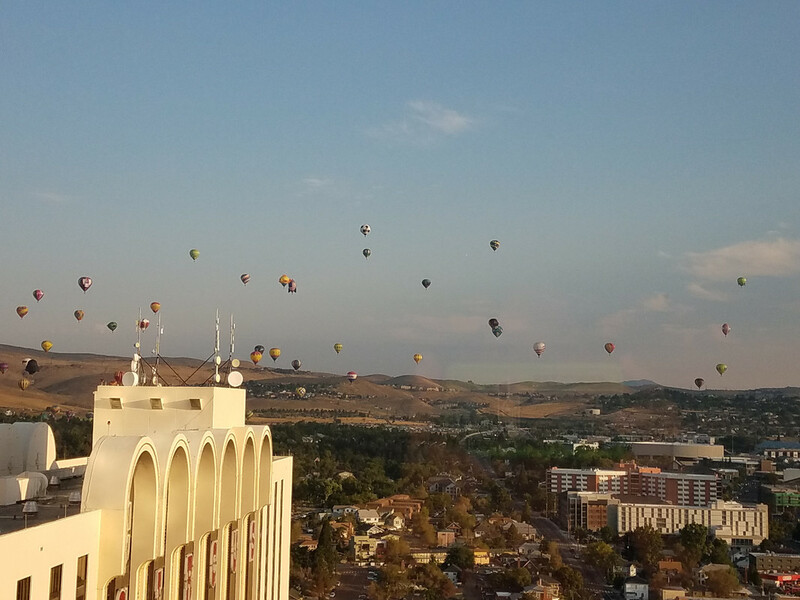 We had a “late” evening flight back to Seattle on Saturday, departing Reno around 8:20 p.m. Staying in Reno only 2 nights on this trip instead of 3 I really wanted to maximize my time in Reno so took the last flight home of the evening. And I mean it literally ended up being the last flight out of the Reno airport on Saturday night (we didn’t know that until we arrived the airport). The bars and restaurants in the airport were closed by 7:30 p.m. The stores were closed by 7:00 p.m. and so were some of the restrooms. Couldn’t even get a bottle of water anywhere. Note to self, never take a “late” evening flight out of the Reno airport again. Well, unfortunately no more Reno adventures for me in 2017. 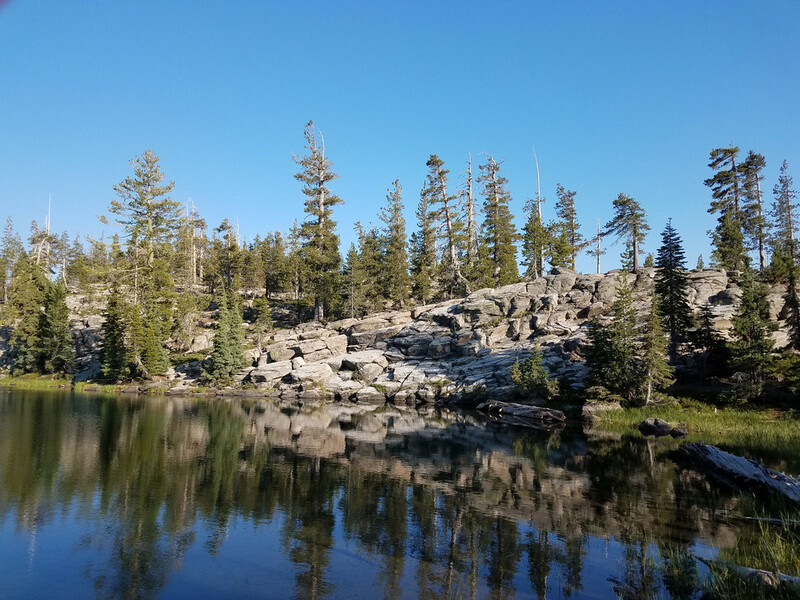 My next trip to Reno will be my annual solo trip in March 2018. Six, long months from now. Posted: Sep Mon 18, 2017 9:53 am Post subject: Thanks! It's been a rough summer for the old VisitReno board. Very few posts. 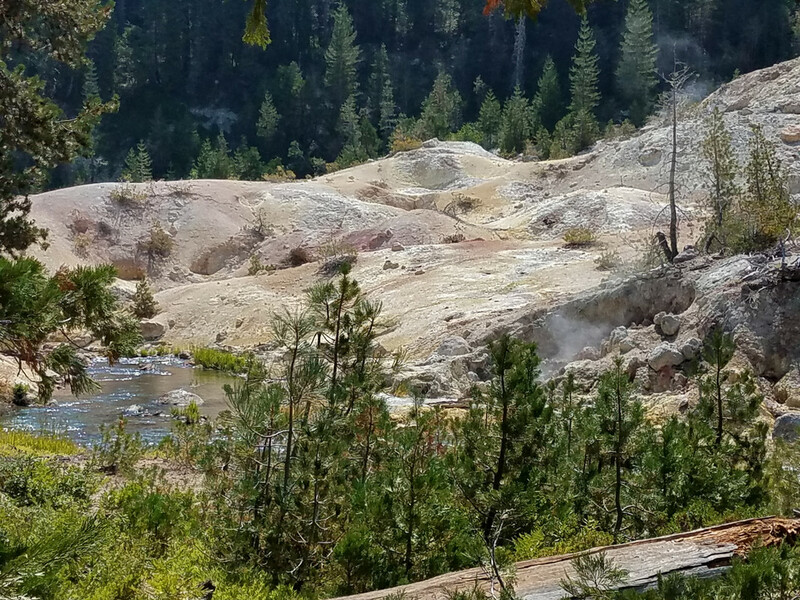 So it's really refreshing to have a great trip report posted. Glad https://postimages.org/is working out for you. I'm also going to check out https://imgur.com/ as it seems to be held in high esteem by it's users. Anyway, thanks for the great pictures. 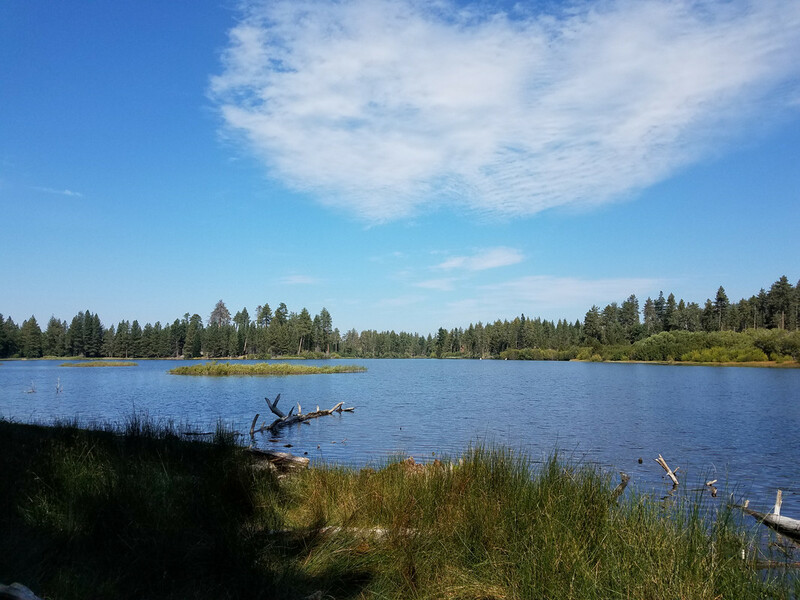 Beautiful shots of the wildlife and wilderness of the Lassen area. 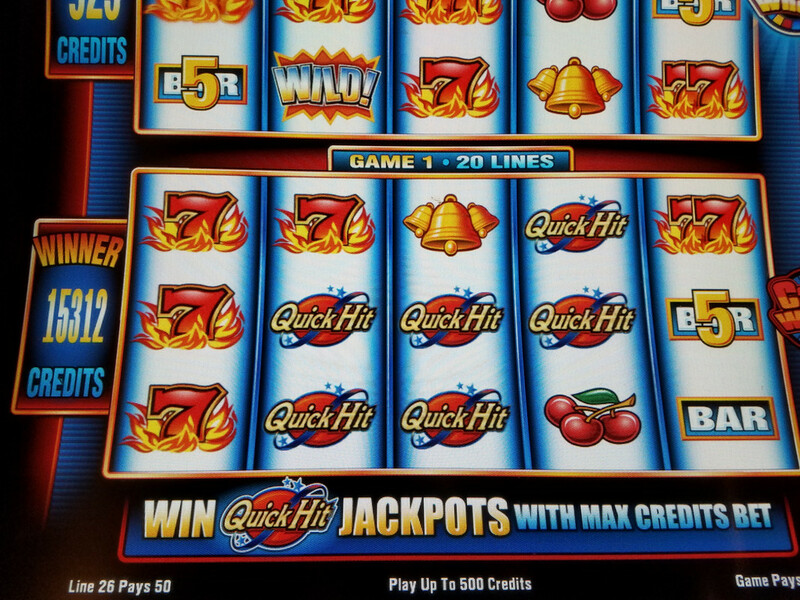 And, of course, great to see your slot wins and tasty treats too. 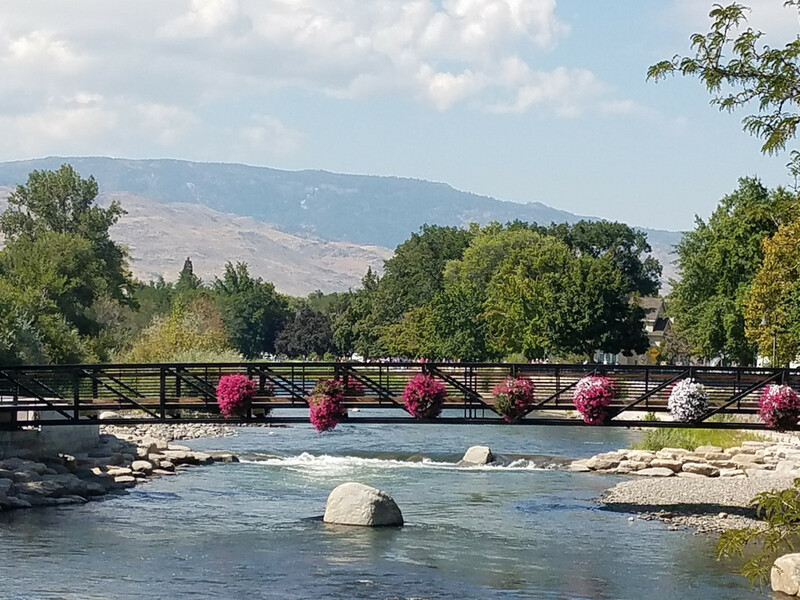 Thanks for the river pics too - gorgeous! Great Pictures an Trip. We haven't been in a yr. every thing dried up! Except for CVI! Harrahs has cancelled the last 2 keno tourns. and Eldo and SL dried up to 30 % off. They have very short Memory's! But going to CVI tues. The webcam showed a great turn out for the Itlo, food thing this weekend! Beautiful and plentiful photos and some very nice wins. Thanks for sharing! 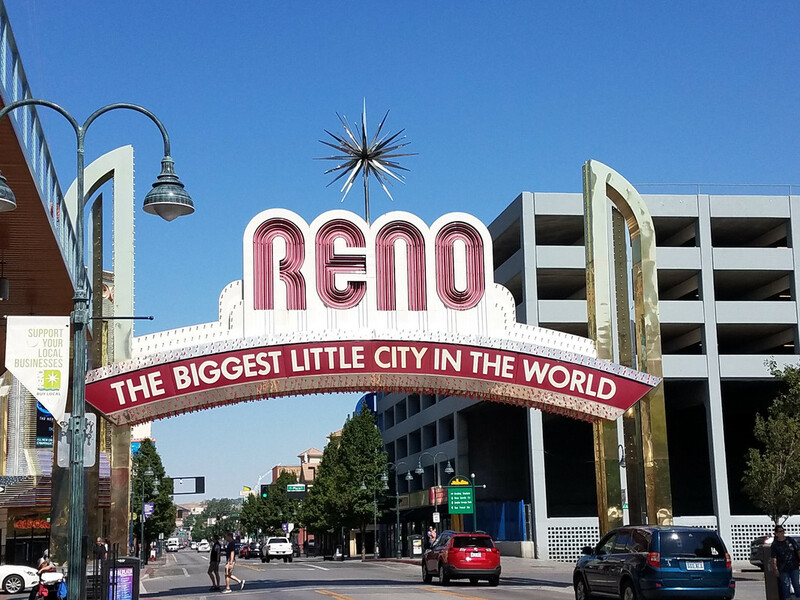 What a awesome trip you had to and from Reno. Outstanding, breath taking pictures. 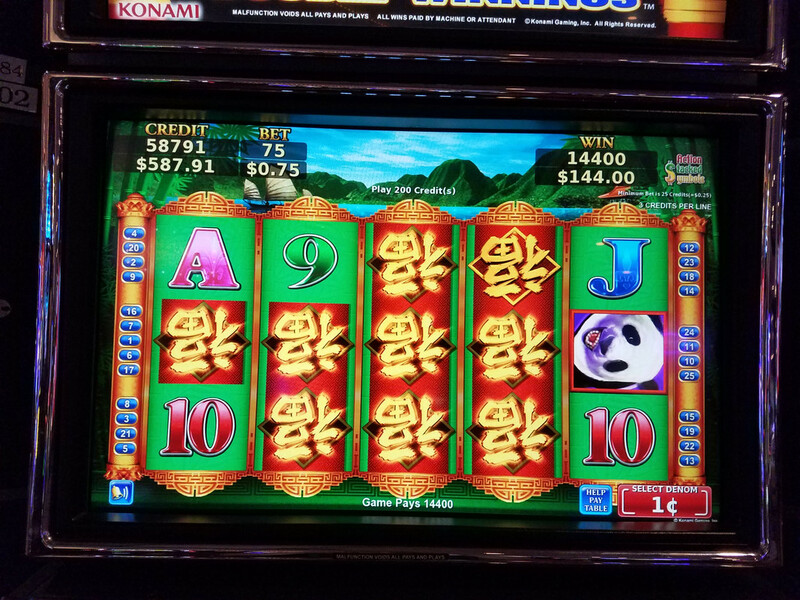 I only wish I could see the wild life that you seen on your trip and to top it off good casino action. A trip to remember! Love the report and always love photos!